Nine-year-old Jaime Gordillo Villa was born in the United States and is a good student who has gotten awards for both good grades and behavior. He wants to be a lawyer when he grows up to help immigrants and others who need help. He says he doesn’t want people to suffer for things they didn’t do. His family knows about suffering since coming to the United States to start a new life. Jaime adored his big brother. They studied and played soccer and video games together. But when his brother was detained by immigration officials, his family had to spend so much money on lawyers to try to keep him here that they lost their home. And then his brother was deported, anyway. Jaime’s afraid his mother or father might be next if they are caught by the police and he might lose them, too. He is one of 50 courageous children the Center for Community Change has coming to Washington, D.C. on November 14 to share their stories with members of Congress and urge them to pass immigration reform with a pathway to citizenship this year. As the debate on immigration reform continues in Congress, millions of children have so much at stake. One in four children in the United States currently lives in an immigrant family, representing about 18.4 million children. Children of immigrants represent the fastest growing segment of the child population. Immigrant populations are diverse, but many children in immigrant families face significant challenges to their health and well-being, including poverty, lack of health insurance, low educational attainment, substandard housing, and language barriers. Any long term solution to our immigration system must take into account what is best for these children. A recent report from Human Impact Partners (HIP), Family Unity, Family Health, highlights the need to protect children’s rights and keep families together during immigration reform to ensure children’s health. Family-focused immigration reform would result in better child health. Our current immigration policies push families apart and children into illness and poverty. HIP projects that if current policies remain unchanged, 43,000 U.S. citizen children will experience a decline in health status, 100,000 will develop signs of withdrawal, and more than 125,000 will go hungry in the next year. Children of undocumented immigrants — the majority of whom are U.S. citizens — will continue to suffer from trauma and fear of deportation which can lead to costly health consequences in their adult lives. The Children’s Defense Fund has joined with many child and family advocates supporting a set of key principles for children we hope Congress and the administration will incorporate in immigration reform without more delay. Limbo is a very bad place for children to live. First, we believe there must be a direct, clear, and reasonable pathway to citizenship. Any pathway to citizenship must be open, affordable, safe, and accessible to children in need of status, including beneficiaries of Deferred Action for Childhood Arrivals (DACA), undocumented children under the age of 21, and unaccompanied immigrant children. Second, our immigration system must uphold children’s basic human rights and ensure access to critical public services, programs, and economic supports for children and their families. Protecting a child’s human rights should include ensuring children receive legal representation before all immigration authorities and, for all unaccompanied children, the appointment of an independent child advocate from the moment of detention throughout the course of any immigration or other related court proceedings. Third, we need to ensure enforcement efforts have appropriate protections for children. In all enforcement actions, including those along the border, the best interests of the child should be a primary consideration and children must be given the benefit of the doubt during any investigation or detention. There should be appropriate and accountable training policies for interacting with and screening children that reflect a humanitarian and protection-oriented approach, prohibit the use of force, and create reasonable and safe conditions for children. Finally, we must keep families together. All policies regarding admissibility, enforcement, detention, and deportation of children and their parents must consider the best interests of children, including enabling immigration judges to exercise discretion in admission and removal decisions based on the hardship to U.S. citizen and lawful permanent resident children. The immigration system must be updated by resolving current backlogs and ensuring family-based immigration channels are adequate for future migration without lengthy family separation. As the youngest and most vulnerable members of our society, every child within our borders should have access to the services and resources they need to survive, grow, and thrive. As our nation’s leaders, hopefully, move forward with the important task of reforming federal immigration laws, I hope they will take into account the unique needs of children. Please urge your member in the House of Representatives to take action on immigration reform that promotes child well-being by ensuring families stay together and gives all children the opportunity to grow and thrive. The Senate has acted. The House must vote╤now. 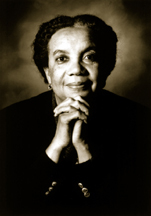 Marian Wright Edelman is president of the Children’s Defense Fund whose “Leave No Child Behind” mission is to ensure every child a Healthy Start, a Head Start, a Fair Start, a Safe Start and a Moral Start in life and successful passage to adulthood with the help of caring families and communities. For more information go to www.childrensdefense.org.